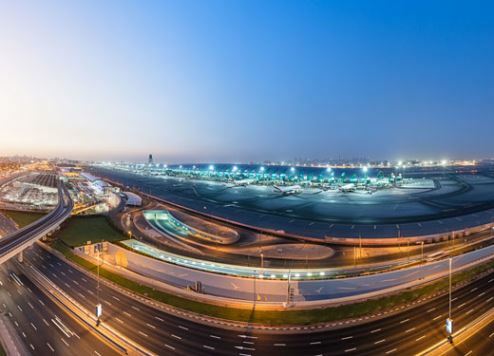 Dubai International (DXB) has retained its position as the world’s number one airport for international passengers for the fourth consecutive year, with full-year 2017 passenger traffic surpassing 88 million for the first time. Propelled by high traffic volumes averaging 7.35 million passengers per month throughout the year, including traffic recorded in January, July and August when passenger numbers breached eight million, DXB’s traffic reached 88,242,099 passengers for the full year, up 5.5% compared to 83,654,250 passengers recorded during 2016. The airport welcomed 7,854,657 passengers in December, up 1.9% compared to 7,706,351 recorded in the same month in 2016. Markets showing significant growth during the year included Russia with passenger numbers surging 28% to 1,339,534 and China with 2,212,179 passengers, up 19.4% over 2016. The surge follows the decision by UAE authorities to offer visas on arrival to Russian and Chinese visitors. The rising numbers also correlate with increased interest in Dubai’s property market among investors from both countries, as well as the city’s rising profile as a global tourism destination. Thailand, bolstered by additional capacity deployed by Emirates through a switch to two-class A380 service, also registered robust growth of 15.2% with passenger numbers reaching 2,445,053 in 2017. India was once again the single largest destination country for DXB with 12,060,435 passengers in 2017, up 5.4% compared to 11,440,215 passengers recorded in 2016. The UK ranked second with 6,466,404 passengers (+6.7%), overtaking Saudi Arabia which recorded 6,364,598 passengers (4.6%). London retained its position as the airport’s top destination city with 4,011,598 passengers, followed by Mumbai with 2,477,771 passengers and Jeddah with 2,113,820 passengers. DXB welcomed six new scheduled passenger airlines during the year, including SalamAir, Badr Airlines, and Air Moldova, while home based carriers Emirates and flydubai added three and 10 new passenger destinations and increased frequency and capacity on 31 and 22 routes respectively. The average number of passengers per flight grew 6.9% to 223 during the year compared to 209 for 2016, mainly due to DXB’s position as the world’s largest hub for wide body aircraft, particularly for the A380. Paul Griffiths, CEO of Dubai Airports, said: “It was a very successful year for DXB as we not only achieved robust growth in traffic to solidify our position as the world’s number one international airport but also delighted our customers with a range of new and exciting services and innovative products. “We made passenger journeys through the facility smoother by reducing waiting times – by deploying cutting edge technology to track and manage queues in real time, as well as by enabling the use of Emirates ID at smart gates for UAE residents. The year witnessed the launch of WOW-Fi, the world’s fastest free airport Wi-Fi, followed by free streaming movies for our passengers through our partnership with ICFlix. Lastly the Dubai Airshow was a massive success with record orders of $113 billion and a special Gala Dinner made unforgettable by Jennifer Lopez’s performance.